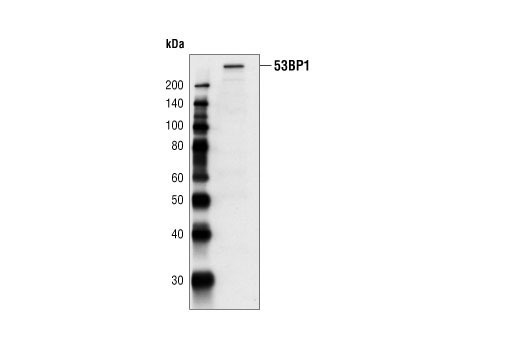 Western blot analysis of extracts from HT29 cells, using 53BP1 Antibody. 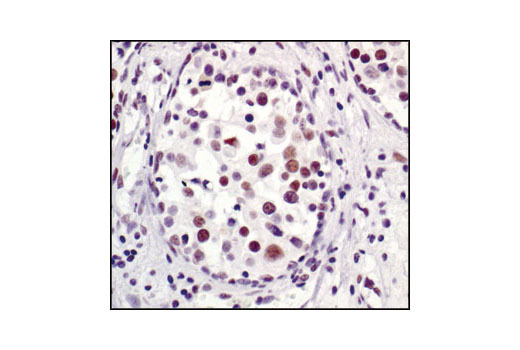 Immunohistochemical analysis of paraffin-embedded human breast carcinoma, showing nuclear localization, using 53BP1 Antibody. 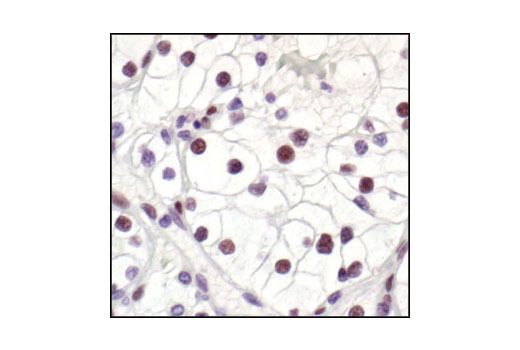 Immunohistochemical analysis of paraffin-embedded human renal cell carcinoma, using 53BP1 Antibody. 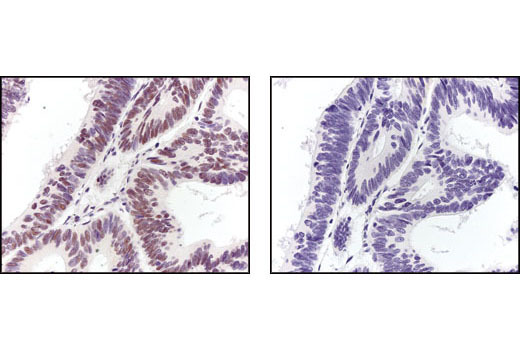 Immunohistochemical analysis of paraffin-embedded human colon carcinoma, using 53BP1 Antibody in the presence of control peptide (left) or antigen-specific peptide (right). 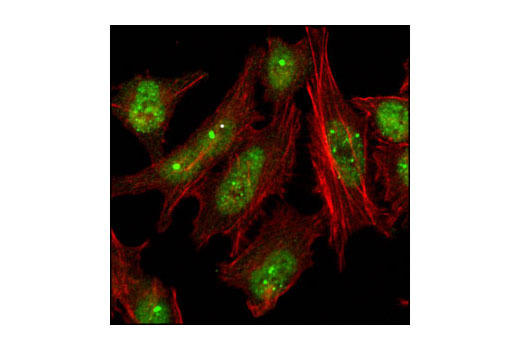 Confocal immunofluorescent analysis of HeLa cells using 53BP1 Antibody (green). Actin filaments have been labeled with Alexa Fluor® 555 phalloidin (red). 53BP1 Antibody detects endogenous levels of total 53BP1 protein independent of phosphorylation. Polyclonal antibodies are produced by immunizing animals with a synthetic peptide corresponding to residues near the center of human 53BP1. Antibodies are purified by protein A and peptide affinity chromatography.